Do you remember being 19? While most of us that age were busy with college, assignments and classes, Ritesh had other stresses. In the first year of his company’s operations, it clocked a revenue of Rs 32.86 crore, and a loss of Rs 496.31 crore. His venture was called everything from a hotel aggregator to an online travel agency, and even a Ponzi scheme with an unsustainable business model. But he laboured on, and today, OYO is India’s largest hotel chain. Teenage dreams taking on the world – can there be a better example? “We have had our fair share of learnings. In hospitality, there are some tough and subjective issues: the whiteness of the sheets and even water temperature. We as entrepreneurs take these very seriously and are working to ensure that customers get the best experience. We accept them and are ready to resolve them and change,” says Founder and CEO Ritesh Agarwal. How did a startup that started out by wanting to provide comfortable and standardised budget accommodation scale to its current dizzying heights? Read on to find out. Entrepreneurs are known for their passion and drive. But investors? Alok Goyal, Partner at Stellaris Venture Partners believes that as an early stage investor, he has the best job in the world. “I don’t think anything can be compared to our profession. I think we are blessed to be doing what we do,” Alok says. Logistics startup Delhivery raised $413 million in a fresh round of funding led by Softbank, Fosun, and Carlyle Group. The company’s total fundraise now stands at $600 million. Delhivery will use the capital to expand its presence from 15,000 pincodes to 20,000 pincodes in the next four months. Windows 7 is officially dead: What’s next? The era of Windows 7 has come to an end as Microsoft started notifying users about withdrawal of support. If you are a Windows user, you have a whole year (almost) to upgrade the OS and, if required, even your systems to continue enjoying a hassle-free experience. Microsoft has already put out a step-by-step guide with instructions on moving to a Windows 10 PC. Chennai-based healthcare ecommerce portal Netmeds announced it has acquired clinic management platform KiViHealth in a cash and stock deal. Netmeds will invest close to $10 million to integrate and grow KiViHealth. “With this acquisition, Netmeds.com adds to the portfolio of technology driven solutions as its transforms the brand into a complete healthcare product and service company,” said Pradeep Dadha, Founder and CEO of Netmeds. 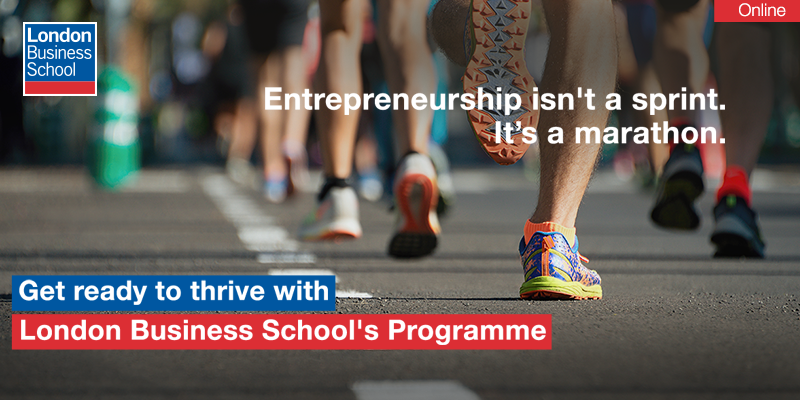 London Business School’s Entrepreneurial Edge is an intensive 12-week venture development journey with mentoring and support, to help prospective entrepreneurs kickstart successful early stage ventures. As part of the programme, participants build and launch business ideas, learn tools and frameworks, evaluate market opportunities, create a viable business model and financial plan. The programme also helps you ask and answer the important financial questions you need to know in order to write a business plan and win over investors. Classes for this online experiential programme start on March 26. Apply today.